First it was the lengthy and painful investigation and trial of Barry Bonds where Federal Prosecutors came up short on their primary charges. 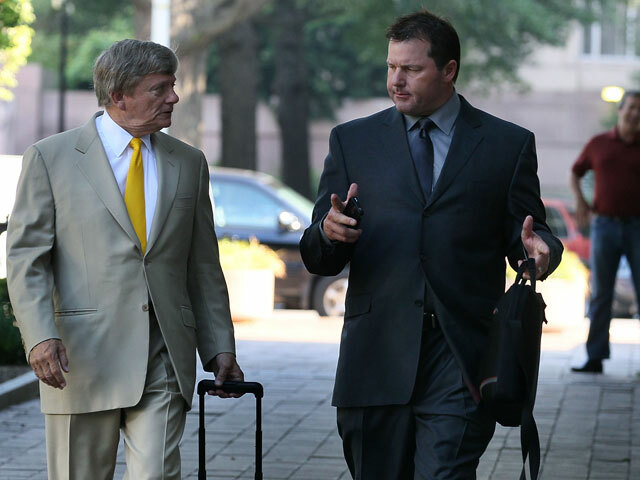 Today it was the rapid mistrial called by Judge Reggie Walton as the prosecutors opened their case against Roger Clemens on the first day of Clemens trial. To me they looked like the prosecutors thatAlanShore(James Spader) made fools of in the television series Boston Legal. This was supposed to be a “slam dunk” for the government and instead it was a debacle. Today lead prosecutor and assistant U.S. attorney Steven Dunham went against the Judge Walton’s ruling by introducing evidence of former Clemens team mate and friend Andy Petitte’s wife that Petit had told her that Clemens had admitted using HGH. Walton had already deemed the video admissible in rebuttal. Instead Dunham introduced it invoking Walton’s ire and lead defense attorney Rusty Hardin asked for a mistrial. Walton granted the mistrial even though prosecutors argued that the judge could simply instruct the jury to disregard the evidence. Judge Walton remarked “I don’t see how I un-ring the bell,” in that they could not know the effect of the evidence in jury deliberations. Walton noted that “Government counsel should have been more cautious,” noting the cost to taxpayers already incurred and that “I think that a first-year law student would know that you can’t bolster the credibility of one witness with clearly inadmissible evidence.” A direct comment that the prosecution’s case hinged on the testimony of and evidence supplied by former Clemens trainer Brian McNamee. 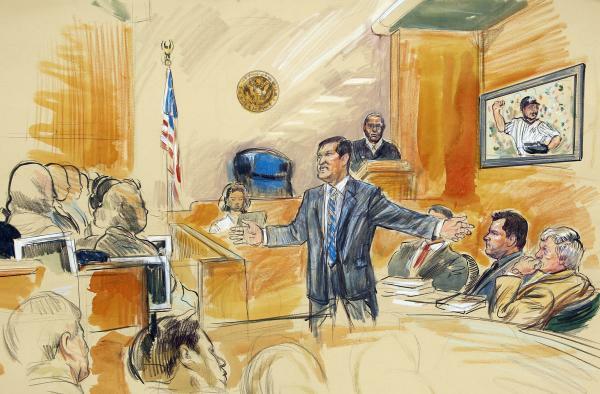 The government considered Pettitte’s testimony essential because he is viewed as “critical witness” because of his honesty and good reputation. 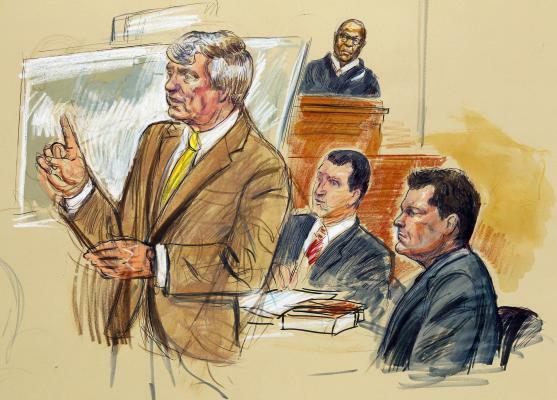 This was even more important after Wednesday’s opening arguments where Hardin managed to turn the trial into one of the reliability of the prosecution and its key witness, McNamee. Hardin on the other hand held the jury in his hand weaving a trail of government investigators canvassing the country to find evidence with which to convict Clemens and only having McNamee’s testimony with which to attempt to send Clemens to prison. Hardin put the prosecutors and McNamee on trial showing a map of 72 locations across the country where the government went to prepare 229 investigative reports. Hardin pushed the prosecution hard and gave the jury a lot to think about regarding the evidence and the reliability of their chief witness. I think that this is most likely why Dunham introduced the Pettitte video most likely hoping to make an impact on the jury while having Walton simply let them off with a warning. The play didn’t work. It was like a pitcher having been warned for throwing at a batter doing it a second time and getting tossed from the game. However in this case with wasn’t just the pitcher tossed it was the end of the game. Judge Walton has scheduled a new hearing for September 2nd to determine if there will even be a second trial. Given Walton’s statements today one has to seriously believe that he will not order a new trial. A gag order imposed by Walton is still in force and it is believed that Walton considers that a case of double jeopardy exists and that Clemens may be immune from further prosecution. If there is a second trial it probably will not take place until 2012. In the end it is another case of over eager government investigators and prosecutors spending millions of taxpayer dollars to target high profile athletes. The fact is that for baseball the Steroid Era is over. It is likely that hundreds of players took varieties of performance enhancing drugs. The evidence of this is the marked decline in home runs and run production as well as injuries to older players that were less frequent than during the era. As for those implicated as users they will be judged by the fans, their fellow players and the sportswriters who vote players into the Hall of Fame. Those innocent will be under as much scrutiny as those that have admitted or actually tested positive. Those that used whether they ever tested positive or not cheated, but cheating in sports is something that is not the job of government to police or Congress to investigate. Those that love the game of baseball will view records set during the era with suspicion because that is what baseball fans and writers do. We examine statistics and records; we live and die by them. But the fact is that baseball records are often products of their times. 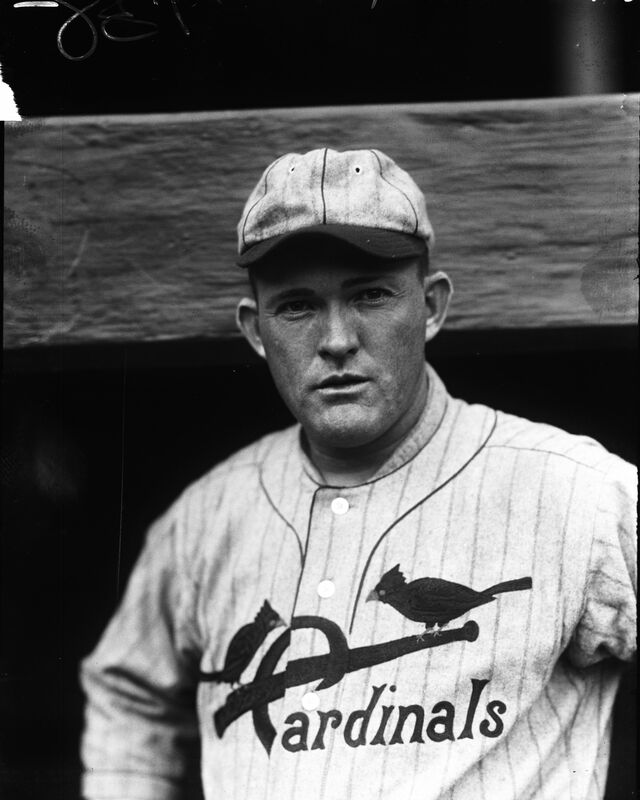 There were few home runs in the “dead ball era.” Many of the great home run hitters played in hitters parks and were surrounded by a strong supporting cast that forced pitchers to pitch to them. Many players that held records played in a shorter season, 154 vice the current 162. The National League doesn’t play the Designated Hitter which has extended the careers of many hitters whose defensive skills are declining to the point that they are a liability in the field and would have had to retire in previous times. From their inception until last year players used amphetamines to increase their alertness. That was legal and baseball did nothing about it until last year. 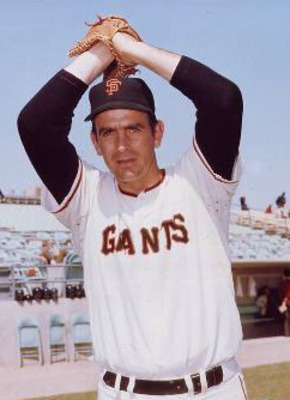 In days past pitchers used the spitball, cut or sanded balls to get an edge.This was illegal but many did it and Hall of Famer Gaylord Perry admitted this even before being elected to the Hall of Fame. What I have never thought right was Congress calling hearings and grilling ball players while the country was at war and suffering from a terrible economic downturn. That was a waste of time and taxpayer money. The one good thing is that it forced Baseball to get its act together regarding PED use, testing and enforcement. I am glad for that. As far as the prosecutions they have been terrible a waste of taxpayer money and the results bear that out. It is time to end this mindless pursuit, let the players live their lives in retirement and let the fans, writers and their colleagues judge them. As Clemens left the courtroom he was hounded by reporters and photographers, some even trying to get his autograph he had to push his way through like someone trying to escape a Zombie attack. As he did so an inebriated man waving a cane shouted “Leave the man alone! Leave the man alone!” Maybe it is time that we do, not only with Clemens, but Bonds and all the others that Federal investigators, notably Jeff Novitzky and prosecutors have investigated for years on our dime. “Leave the man alone!” I second that. Barry Bonds was convicted of one count of Obstruction of Justice in his trial on perjury charges. The obstruction count came as a result of Bonds’ 2003 Grand Jury testimony. The three perjury charges were deadlocked and the judge has the option of retrying them. Bonds’ defense team asked for the verdict to be set aside and the judge did not immediately rule on the request. 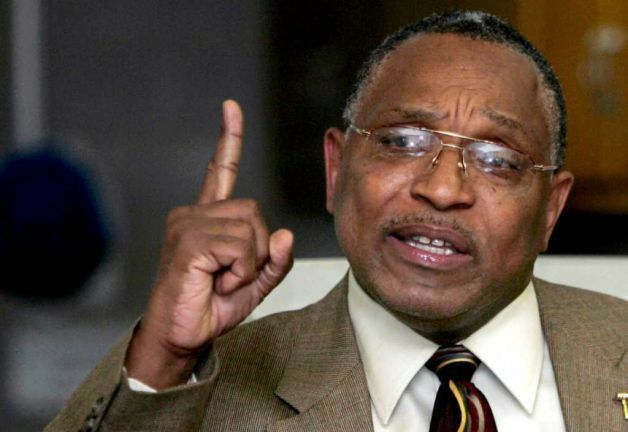 The Bonds legal saga is not over as a decision to retry the deadlocked perjury charges, the judge acting on the defense motion to set aside the guilty verdict and the outcome sentencing and any appeals are still to come. Meanwhile the steroids era just will not go away as Roger Clemons is soon to stand trial for lying to Congress about his alleged steroid use and Manny Ramirez ended his already tarnished career with yet another positive steroid sample. Ramirez should have known better. He was on the list of 103 players that tested positive in 2003 and he was suspended for 50 games last year for a positive test while playing on the Los Angeles Dodgers. The fact that he was caught once again suggests that he was either incredibly arrogant or stupid or possibly both. Unfortunately they are not alone. In fact 6 of the top 14 home run leaders (in italics) of all time are tainted by steroids only one of whom is still active. Jim Thome who is also active has not been implicated in the steroids scandals but will still likely be scrutinized simply because he hit a lot of home runs during the era. The sad thing is that the use of steroids according to some was so prevalent that almost anyone who set records during the era tainted or not will be viewed with suspicion. As for Bonds people made up their minds about him years ago and there is little middle ground when it comes to him. The only thing now is how baseball will deal with the records of Bonds and the other players of the steroid era and admit him or any of them into the Hall of Fame. Now some like Palmeiro went and shook their fingers at Congress and then popped positive, not smart but so many others could very well have done steroids that have not been caught that we will never know. There are numerous reports which implicate others most of whom will never be prosecuted or banned from baseball. But thanks to IRS Special Agent Jeff Novitsky who transferred to the FDA to pursue elite athletes Bonds, Clemons and other legends of various sports have been singled out for prosecution in what amounts to a witch hunt designed to bring down the biggest names in sports. In the case of Bonds this has cost the taxpayer over 50 million dollars. In an era of massive deficits is this a good way to spend our money to get a guilty verdict on just one charge after almost 8 years of work? 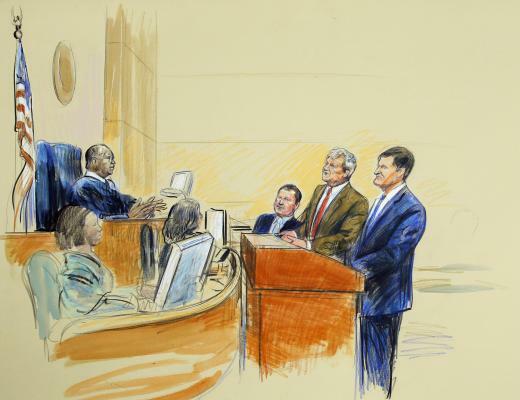 To me it seems that Novitsky and his team have made a special effort including violating court prescribed limitations of search and seizure at the BALCO labs and to ensure that the case was tried in the media before Bonds ever went to court. Do the math: 1 player, 8 years, 50 million dollars and 1 guilty verdict on one count of 5 that went to trial and 4 that went to the jury. That being said I believe that Bonds knowingly took steroids as did so many of the players of his era and though Bonds has not admitted anything I imagine that he started to take steroids because of the wild success of those that were taking such as Mark McGuire and Sammy Sosa neither of who had all of the natural talent and ability of Bonds who was on course to be a Hall of Famer before he started using. I wish that he had admitted that he did back in 2003 it probably would have done much to help end the era as well as put others on notice and it is likely that instead of being ever in our face the Steroid era would be in the past. The conviction even on the one count of obstruction says much in how he is perceived in court and in public. While Bonds has many supporters he also has many detractors. Zach Moore compiled an interesting and enlightening portrait of Bonds’ performance before he began allegedly using steroids in 1998. I post it here with the link because with or without steroids Bonds would have made the Hall of Fame based on his pre-1998 statistics. True he may not have topped Aaron or Ruth in Home Runs but the numbers and the company they put him in are impressive. “Bonds’ stats prior to the 1998 season include a .288 batting average, a .408 on-base percentage, and a .551 slugging percentage. 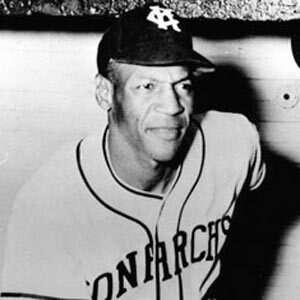 He had 1,750 hits, which included 321 doubles, 56 triples, and 374 round trippers. He drove in 1,094 runs, while crossing the plate 1,244 times himself. He did all that while also walking 1,227 times. Bonds was not only a threat at the plate, but once he got on base, he stole 417 times. He did all this while only striking out 958 times. In The New Bill James Historical Baseball Abstract, which was written just before the 2001 season during which Bonds hit 73 home runs, he calls Bonds “the most un-appreciated superstar of his lifetime.” That is one reason for Bonds’ desire to use steroids, according to Mark Fainaru-Wada and Lance Williams in Game of Shadows. In the section of the Abstract where James ranks his 100 best players at each position of all time, James ranks Bonds the third best left fielder ever, only behind Ted Williams and Stan Musial. The astounding part about this is that James wrote this before Ken Griffey Jr. started getting hurt, so he could still vividly remember Griffey gliding around centerfield, robbing home runs, stealing bases, and that beautiful swing. We tend to forget how good Bonds was, even before he went on this steroid-aided home run tear of recent years sometimes. I can’t compare his 12-year career statistics with any one player because his ability to do everything does not allow that. Instead, I’ll use a few different Hall of Famers to nail home the point. His .288 average is higher than both Rickey Henderson’s .282 and Carl Yastrzemski’s .285. He hit 101 fewer home runs then Stan Musial in about eight less seasons and also hit 13 more home runs than Joltin’ Joe DiMaggio. His on-base percentage was one point lower then Manny Ramirez’s current .409 career mark, and it tied Jackie Robinson’s career OBP. Listen carefully to this next statistic, with his 12-year all-natural career, Bonds’ career slugging percentage of .551 would be eight points lower than Musial’s, six points lower than his godfather Willie Mays’, five points lower than Mickey Mantle’s, and only three points lower than Hammerin’ Hank Aaron’s. Bonds had 15 less career runs scored than HOF centerfielder Duke Snider. He finished with 29 less hits than HOF infielder Lou Boudreau. Kirby Puckett’s 1,085 RBIs were nine less than Bonds’ sum. His 321 doubles tied Yogi Berra’s. Bonds’ 1,227 base on balls are still more than future Hall of Famers Ken Griffey Jr., Chipper Jones, and Manny Ramirez’s current totals. He even had more than walk machine Jason Giambi, and he did it in only 12 seasons. Bonds’ 417 stolen bases put him in the top 65 all-time. Another testament to his incredible combination of speed and power is that he is one of only four players in the 40/40 Club (home runs and steals). He actually did it during 1996 when he was clean. The other three members of that club are fellow abuser Jose Canseco who did it in 1988, Alex Rodriguez who did it in 1998 when he was still with the Mariners, and Alfonso Soriano who did it in 2006. Additionally Bonds before 1998 was a 7 time Gold Glove winner, 3 time MVP and 6 time Silver Slugger Award winner. For a complete list of Bonds accolades see the Baseball Almanac page at http://www.baseball-almanac.com/players/awards.php?p=bondsba01 Even after he was alleged to use steroids he won the 2004 Hank Aaron Award, the 2004 Most Valuable Player Award, 2004 Players Choice Outstanding Player of the Year Award, 2004 Players Choice Player of the Year Award, 2004 National League Silver Slugger Award and 2004 Sporting News Major League Player of the Year Award. In a sense despite a widespread suspicion that he was using steroids the players and media recognized him as the best in the game. Then they didn’t seem very concerned about the possibility that he might have cheated. Now many in the media who made their money promoting Bonds condemn him as do many fans that have since abandoned him. To me it is hypocritical. Yes I think that he cheated but that takes little away from his pre-steroid accomplishments. Because of the alleged steroid use and the subsequent investigation, trial and conviction he will be remembered as a cheater. However morally he is no different than all the players of the Steroid eras who abused PEDs but who were nowhere close to his skills and performance. Bonds was certainly was an amazing player. His overall numbers would very well be lower without steroids especially the home runs, but he very well may have been the greatest overall player since his Godfather Willie Mays even without them. Not many players can say that. Bonds biggest problem was that he displayed a sense of arrogance toward the game and the law, the same arrogance that made him such a fearsome hitter even before steroids. The same is true with Roger Clemons, quite probably the greatest pitcher of the modern era. Like Bonds before him Clemons’ refusal to deal with the issue of his alleged steroid use forthrightly before Congress; will likely end in some kind of criminal conviction and Clemons in his first 14 seasons was certainly a Hall of Famer. I won’t go into his statistics here but they are also covered in Zack Moore’s article. Are there men that cheated in the Hall of Fame? Yes one of the most flagrant being Gaylord Perry who admitted after his retirement and before his election to the Hall of Fame that he threw the “spit ball” which was illegal his entire career. Players who “corked” bats were common but most were never caught because unlike today their bats were never inspected. Pitchers used the spit ball, emery boards, diamond rings and sandpaper to alter the baseball to give it extra movement. 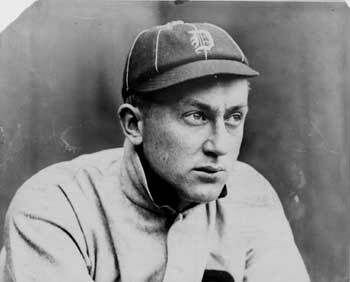 Since all ballplayers are human beings I have no doubt that had the technology to produce PEDs been available between the end of the Dead Ball era in 1919 and the late 1980s when they arrived on the scene that players would have abused them in order to increase their performance, win games and extend their careers. Likewise they would have been cheered as much as the home run leaders of the 1990s were until they were exposed. 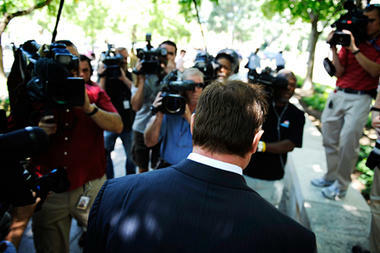 All one has to do is take a look at those who are known to have cheated as documented in this ESPN article http://espn.go.com/page2/s/list/cheaters/ballplayers.html a number of whom are in the Hall of Fame. My contention in this article is not that Bonds did not cheat the evidence certainly looks like he used steroids which were banned when he allegedly started using. Instead I would say that Bonds has been unfairly singled out by people in the government, the media and even in the game that would rather tear down a man than to place his actions in the broader context of the game, the era, human nature and history. This will happens to Clemons too but not many others. Meanwhile the government bails out financial institutions and industries that have defrauded the American public and helped impoverish the nation. We excuse the illegal and unethical lives of politicians and Presidential Candidates so long as they our on our side of the politic spectrum or failing that against the party that we oppose and we give churches and clergy who harm innocents a pass and say that the accusers are persecuting the Church. We worship celebrity and idolize people with talent or looks but not much else but we will do our best to destroy athletes who break the rules of their game. Isn’t that somewhat hypocritical. In the park homers are rare and most of the ones hit in baseball history came during the 19th Century Era or the “Dead Ball Era” between 1901 and 1919 during which ballpark outfields were much deeper and more spacious than today’s parks meaning that if a ball got by an outfielder there was a good chance that a batter could get around the base paths and score. In the modern era Hank Aaron had only one. A few players have hit them, but they are so rare as to be called “the most exciting play in baseball.” Just to give an example of players in the “500 Club” who have hit inside the park homers, Babe Ruth has ten, Willie Mays six, Barry Bonds and Ken Griffey Junior three each, Sammy Sosa two while Harmon Killebrew and Hank Aaron each have one. Other players to have hit them in recent years include Emilio Bonafacio who hit one on opening day, Howie Kendrick of the Angels who hit one on May 9th and Carl Crawford hit one in Tampa Bay on July 20th. Only one has been hit in an All-Star game and that by Ichiro Suzuki in 2007 at AT&T Park in San Francisco. Roberto Clemente has the only “walk off” inside the park grand slam. The last by a Norfolk player was in 2005 by Anderson Hernandez. As I said this was the first inside the park home run that I have ever seen and it was simply an amazing thing of beauty to watch. Patently the Deity Herself ensured I got to see one of these just as I had seen a no-hitter back in 1975. I had been up talking with Elliott the Usher about strategy, players and baseball trivia when Jeff Fiorentino came up to the plate in the bottom of the 6th. I told Elliott that I had to go down to get a picture so I went down by my seat and crouched down in a good catchers stance to stay low and balance myself behind the screen at home plate as I always do when talking my shots. The first pitch was a ball so I readied myself for the next. When Fiorentino hit the ball I knew it would drop for a hit, when it got by Padilla I knew that it was extra bases and when I looked up and saw how fast Jeff was running I knew this was something special. I went back up to Elliott the Usher and we did our high five. We had a scare in the 7th when the Sky Chiefs score two that were charged to starter David Pauley, but somehow, despite losing the lead I knew that the Tides would come back. In the 8th they did. Blake Davis had an infield single and advanced to second on a throwing error by shortstop Ian Desmond. He advanced to third on a passed ball. Fiorentino came up again and singled to drive in Davis to tie the score. With Brandon Snyder at the plate Chiefs pitcher Jack Spradlin attempted to pick off Fiorentino but threw wide of the base, Fiorentino alertly advanced all the way to third. Snyder then doubled to score Fiorentino to give the Tides the lead. Melvin Dorta hit a sacrifice fly to right field scoring Snyder. Alberto Castillo came in to close the game sealing the Norfolk win. Sunday evening Radhames Liz (0-2, 6.00) will make his first start for Norfolk since being promoted from Double-A Bowie where he had been sent down to work on control issues in June. Liz has the distinction of being the only current Minor Leaguer to be in the Major League Baseball 100 mph club having done so when called up by the Orioles in 2008. It should be an interesting game.